Here, we introduce the business line at home and abroad. Many products of the other companies besides in-house products are dealt with centering on general chemicals and functional products. The examples of the main handling items are indicated below. These items are available in domestic dealings. The Import of the goods for carrying out home sales is performed, and also direct vicarious importation which is centering on the markets in Asia, such as South Korea, Taiwan, especially China , etc. is executed in response to the request from a customer. The examples of the main handling items are indicated below. 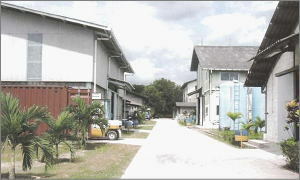 We have five production bases in Japan and one in Indonesia. We introduce them below. 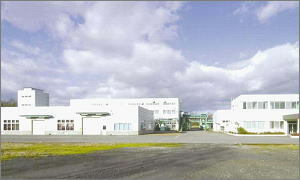 SHIZUOKA KAWAGUCHI CHEMICAL CO., LTD. The factory is producing the organic peroxide mainly, such as methyl ethyl ketone peroxide, cyclohexanone peroxide, benzoyl peroxide, m-chloroperoxybenzoic acid. Moreover, we are carrying out the production both biodegradable resin and the intermediate of the UV resin by contract. 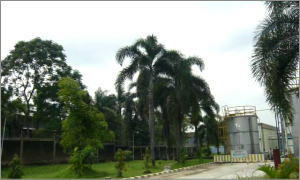 The factory is producing not only the general organic chemicals, such as Benzoylchloride and cyclopentanone which is used for the raw material of the fine chemicals, but also the various productions such as the encapsulating materials for semi-conductor by contract. The factory is mainly producing of the raw materials of agrichemicals, such as pesticide, and is also carrying out the production of curing agent of the epoxy resin. 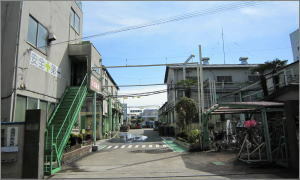 IBARAKI KAWAGUCHI CHEMICAL CO., LTD. 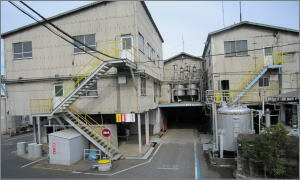 The factory possesses the filling and wrapping facilities with bottles, cans and paper bags. We are carrying out bottling of feeds and various agrichemicals, such as fungicide, herbicide and insecticide. 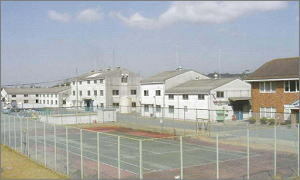 The factory is mainly producing the various kind of paints by contract and is possessing a lot of facilities of composition. And it is also carrying out the production of herbicide and asbestos scattering inhibitor using the dispersion technology. 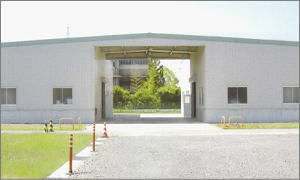 FUNADO WORKS of KAWAGUCHI CHEMICAL CO., LTD. 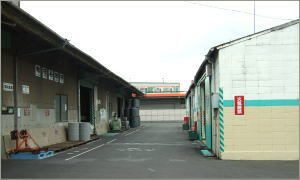 This is the logistic where we manage both the raw materials and the products of paints. in 1991, which has been producing the organic peroxide, such as methyl ethyl ketone, cyclohexanone peroxide and benzoyl peroxide besides copper chloride(I). Optimization of the manufacturing conditions of new products, streamlining of production, quality control and making of the trial product, etc. are performed. This company covers the information system management of the whole KAWAGUCHI CHEMICAL group, such as management of the WEB site besides the construction and the maintenance of systems. In addition, OA articles are sold for external customers.